Honey has been used for centuries for skin care due to its moisturizing and anti-bacterial properties. 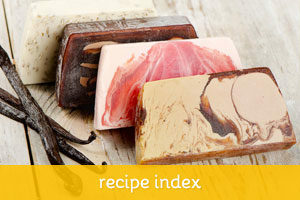 The recipe below makes for a very lathering soap bar that will keep your skin soft and moisturized. Slowly add the lye to the water, mix until fully dissolved and set aside to cool. 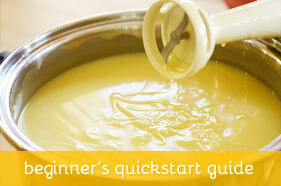 Melt the beeswax in a double boiler until liquid. Heat the remaining oils and tallow and stir until fully dissolved and even in texture and color. When lye & fats are lukewarm, pour lye slowly into fat, stirring until thick and creamy. Add warm wax mixture in a thin stream, beating vigorously to disperse evenly. Add honey and essential oils. Pour into molds. Note that the honey will heat up and hasten the saponification process, so be ready to pour the mixture into the molds quickly. To avoid overheating the soap, do not insulate and place it in the freezer overnight. Acrylic and silicon molds are better for this recipe, as wooden log molds retain more heat. Since ancient times, people have revered honey as being both one of the greatest sweeteners as well as medicinal substances. It was used to treat many ailments before, and not simply through consumption but also through topical usage. Indeed, it would have been more common for the ancients to apply honey to their ills by smearing an affected or medically afflicted area with the substance, as opposed to simply ingesting honey as a medicine. However, even though the ancients used honey for various medical complaints, they were not yet aware of its antimicrobial properties, which we happen to know today. Honey is such an effective antibacterial agent because its water activity is very low, and this discourages the growth of most bacteria. The substance is also an excellent humectant, which is to say that it is a hygroscopic or water-attracting material. Due to this, many people used to apply honey to their skin simply to soften it or prevent it from drying, as the honey would attract water to their skin and moisturize it. An alternative use of honey has been as a hair conditioner. Queen Anne of England, for example, used to regularly apply honey to her hair in order to soften and maintain it. These properties are transmitted to the products made out of honey or honey soaps, which are known for their powerfully moisturizing and emollient properties. These soaps are antibacterial formulations that have the advantages of natural honey in a compact, solid form. You can use them on your skin to reduce dryness, as the ancients did, or perhaps even to prevent the formation of skin problems related to bacterial activity, such as acne. There have even been strong suggestions of honey working to counteract skin aging and the formation of wrinkles, so you can use honey soaps for your face as well. 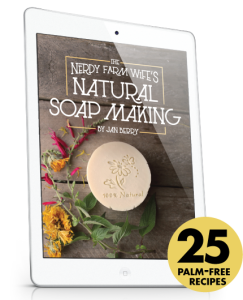 Honey soaps are excellent for those who are looking for healthier alternatives to the factory-made, generic-blend soaps usually available at the grocery stores. 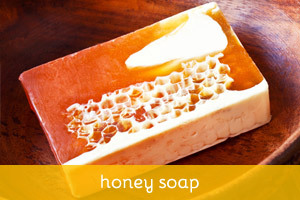 Honey-based soaps are not only more natural, they are also gentle on the skin due to their mild, soothing formulations. 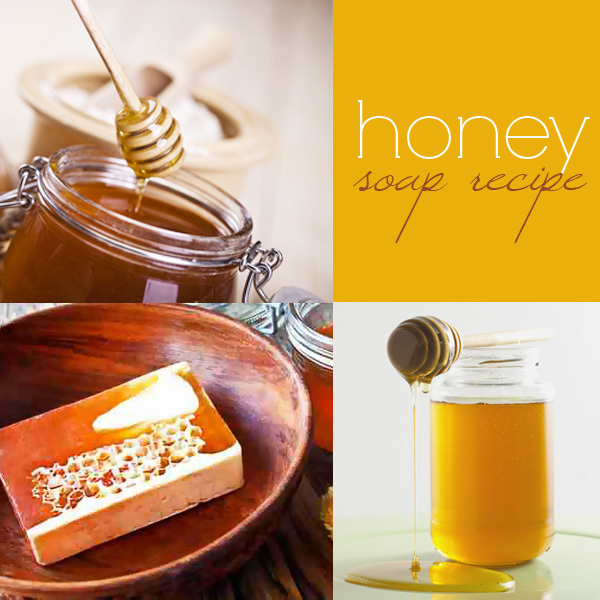 Many of the old recipe’s for honey soap actually had honey in them. It was usually a plain white toilet soap flavored with citronella and various combinations of essential oils. The addition of beeswax to the recipe below gives it a faint sweet aroma. Actual honey may also be added to give it an amber color and a softer texture.